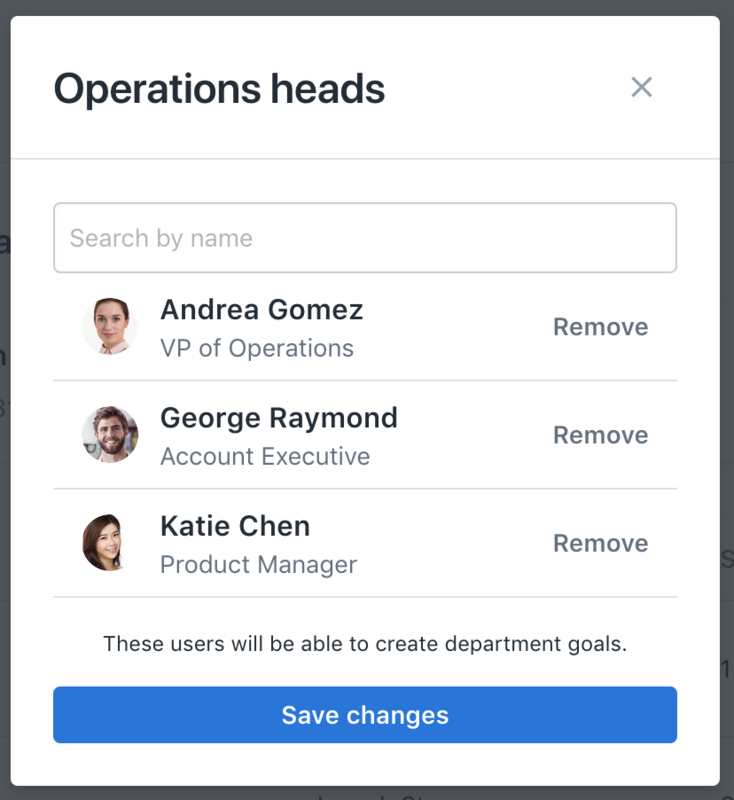 Step 5: From the drop-down, select "Set Department Heads"
Step 6: Search and add the employee(s) you would like to add. 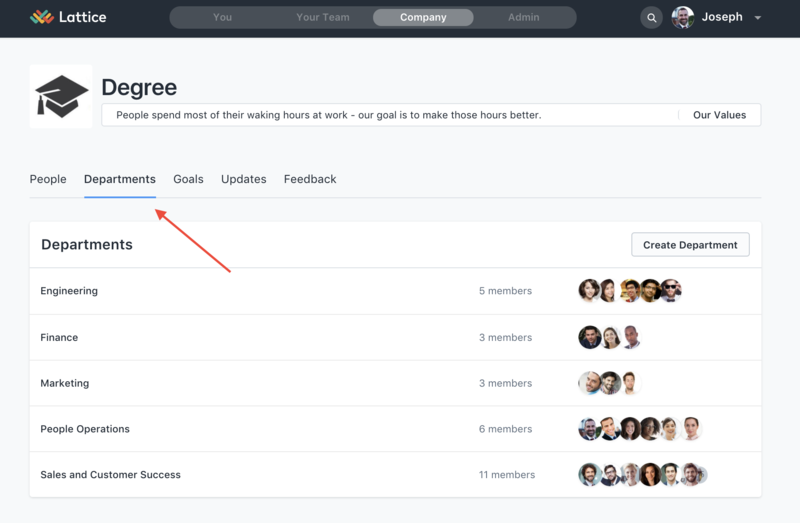 You can set multiple people to head up the same department in Lattice. Step 7: Click "Save changes"
For more on how Department Heads can create Department goals, go here.